Brago is a teenaged mamono with a rough, antisocial attitude. Not much is revealed about his life or personality, other than he resents weakness and especially requiring a human's help to win the demon kingship. 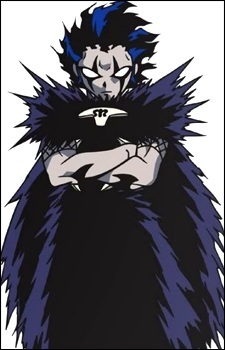 He is extremely strong, often defeating other mamono teams without even requiring the use of spells. His personality softens a bit after meeting with Sherry; Brago is even seen helping a human child. He continues to look down on weaker opponents, however, doing whatever it takes to defeat them. He has a rabid appetite, like most other mamono, once seen eating an entire alligator whole. While he has reluctantly teamed up with Zatch, he isn't above harming Zatch to protect him from greater force, such as kicking Zatch in the groin so he could block a more powerful attack from Maestro with his foot (an action that embarrassed both Sherry and Kiyo). Types of Partnerships Between Mamodos and Bookkeepers in Zatch Bell!! In Zatch Bell!! (Konjiki no Gash Bell!! ), children and teenagers from another world called mamodos team up with special bookkeepers in order to compete with one another for the right to become the next king. But are the partnerships that form really that simple? Let's take a look!